They aren’t calling it “CorduroCare” – at least not yet. But the new partnership between a pair of Finovate alumni does aim to make it easier for people to pay their medical bills. As reported in a VentureBeat exclusive, a program launched by Corduro and LendUp will allow patients at participating hospitals to take out loans through LendUp. First-time borrowers will be charged up to 15% of the total loan amount, and discounts are available for borrowers who make timely payments, pay early, or take advantage of LendUp’s credit betterment/financial health resources. Once approved, borrowers use Corduro’s mobile app (available for both iOS and Android) to pay their bill. The largest hospital currently participating in the program is Dignity Health, a non-profit hospital network in California. Corduro was founded in 2010 and is headquartered in Southlake, Texas. The company’s PayMobile app enables one-touch payments, credit card acceptance, and also includes a secure mobile wallet. Based in San Francisco, California, LendUp was founded in November 2011 by Sasha Orloff and Jacob Rosenberg. The company’s LendUpLadder solution provides small dollar loans to help borrowers manage expenses and build credit. 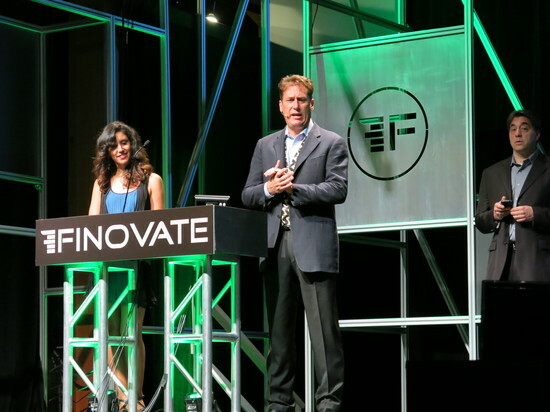 Corduro and LendUp both demoed their technology at FinovateSpring 2013 in May, with LendUp winning Best of Show honors. Watch Corduro’s presentation here. See LendUp in action here. Corduro teams up with LendUp to provide loans to help pay for medical expenses. Entrepreneur Handbook reports on EZBOB‘s 12-month loan for online retailers. CrowdFundBeat features SeedInvest and its new feature, SeedInvest Groups. TSYS announces completion of NetSpend acquisition. Banking Technology takes a look at LICUOS and the company’s win of Innotribe Startup Disrupt at Next Bank Madrid. SafetyPay and GlobalCollect partner to advance secure Int’l payment solutions to over 300 million consumers. Navallo.net interviews BillGuard CEO Yaron Samid. Virtual Piggy teams up with Live Gamer. AG Beat describes why Kabbage and other alternative lenders will remain prevalent. miiCard wins award for Technology Innovation in Financial Services at the 2013 ScotlandIS Digital Technology Awards in Glasgow. BlinkMobile Interactive announces partner agreement with Linktech Solutions. Pymnts.com interviews CSI Enterprises CEO, Keith Stone, on recent updates to the company’s globalVcard platform. 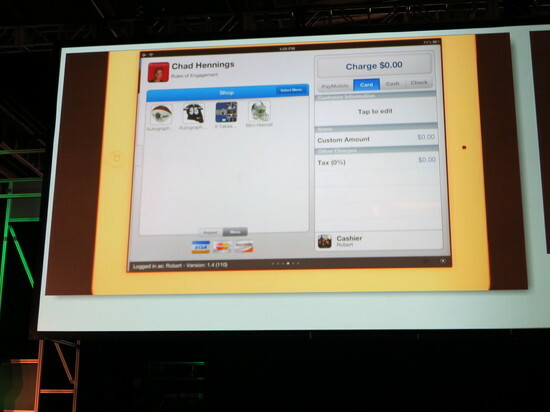 This is post is part of our live coverage of FinovateSpring 2013. Staring off after the lunch break is Corduro, with an interactive introduction to their Corduro PayMobile on-the-go payment solution. “At the show, you will experience payments free from devices, cards, and checks. Use a card if you want, but you’ll miss the innovation. Download Corduro PayMobile, register, add a credit/debit/gift card to the wallet, and be a part of the innovation. Corduro PayMobile is integrated to social networks, and provides both merchant and consumer payment acceptance. Our FinovateSpring 2013 Sneak Peek preview continues with another 12 companies that will be demoing their innovative technologies at our San Francisco event on May 14 and 15. Everything you need to know about FinovateSpring, from a full list of presenters to instructions on how to buy tickets, is available at our FinovateSpring 2013 information page here. For now, here’s a look at a dozen more fintech companies who will be presenting their innovations on stage in May. Arxan Technologies protects the App Economy from emerging hacker attacks with award-winning application integrity protection products that provide best-of-breed mobile app shielding. Why it’s great: Arxan provides global Forbes 500 companies with the world’s strongest and most deployed application integrity protection to launch multi-OS mobile services. BBC Easy is a web service that increases lending efficiency and reduces risk by automating the collection of borrower’s financial data. Why it’s great: Direct access to financial data lowers risk and increases loan efficiency. CardFlight is the easiest way to integrate card-present payments into your own mobile apps. Why it’s great: Easily accept card-present payments in your apps while keeping full control of your user experience. Corduro Register helps enable Payments as a Service for the enterprise. Why it’s great: Corduro focuses on enterprise clients, providing them with a unique way to pay. Credit Sesame is the consumer’s credit and lending expert, providing smart financing for your life. Why it’s great: It’s the one mobile app that provides the information, analysis, advice, and offers you need for every important financing decision. Escardgot introduces the Helix SCard. Evolved spending. Simple. Store your cards, select, and swipe. Why it’s great: The Helix SCard is the perfect transitional technology to usher in the wireless payment industry. No POAS hardware changes like NFC. Finect is the only online network for the financial industry. Why it’s great: We’re a one-stop shop network allowing you to build your brand and community in a compliant manner. GoNow‘s eWallet Platform will ignite mass market eWallet adoption and includes a “Super Smartcard” programmed by the eWallet which enables payments at any POS terminal. Why it’s great: Available as white label, GoNow’s eWallet Platform makes it easy to launch an eWallet that works everywhere and offers new revenue opportunities. Narrative Science enables companies to automatically uncover insights hidden in data and create new content and communication at a scale and frequency never before possible. Why it’s great: Narrative Science’s Quill solution addresses today’s challenges with Investment Research and Portfolio Reporting for both individual and institutional investors. Plastyc Inc. enables better banking services to be delivered to all via web and mobile, regardless of income, age, and bankability. Why it’s great: Brings life-time-value of prepaid accounts to unprecedented levels. Wallaby Financial is the first service to combine a cloud-based wallet with an intelligent credit card to help consumers maximize rewards and cash back. Why it’s great: Consumers that want to maximize their credit card rewards and cash back can build their ideal wallet with Wallaby. For more information on being a part of FinovateSpring 2013, see our FAQ. To register, visit our FinovateSpring page here. Innovations in gamification help True Office win Computerworld Honors Program award. Aiming for the enterprise: Mobile Payments Today features Corduro. Azimo goes live on Google Affiliate Network. American Banker reports: Randolph-Brooks chooses Andera’s online account opening platform. The gamification revolution interviews Michelle Katics, CEO of BankersLab. Kabbage takes home first place for Top B2B Innovation from PYMNTS.com. Virtual Piggy taps into $10Bn Annual Market with epay Partnership. eToro placed on the 2013 FinTech50 Watchlist, a shortlist of 50 companies in Europe that are redefining financial services through technology. Macgasm features Tuition.io as 1 of 5 apps of the week. Newfination interviews SumUp’s Florian Richter. Tradeshift features Intuit’s Eric Dunn to talk about the recent partnership. TechCrunch reports: Yodlee Interactive now powers financial data for 300 apps and businesses; on pace to surpass 500 in 2013. Metaforic unveils Latest Software Protection Technology. Monitise in talks to raise up to 100 million pounds ($160 million USD). miiCard launches online identity trust challenge for Scotland’s university students. American Banker looks at My Community FCU’s experience with MoneyDesktop. Zopa exceeds a quarter of a billion pounds ($400 million USD) in P2P loans. Forbes reports that Corduro is seeking to raise $10 million in series B funding. Pageonce adds File Cabinet, Scheduled Payments to improved Money & Bills app. Epson expands global deployment of Bazaarvoice platform. Matchfund wins place in Yodlee Interactive Incubator Program. Experian announces renewed data, analytics deal with Hitachi Capital UK. Virtual Piggy expands merchant base with Blee Inara’s handcrafted original jewelry. Umbel forms NetAlliance partnership with Akamai. Come to FinovateFall to see Akamai’s live demo. Fast Company talks with Alexa Von Tobel, LearnVest CEO. Check out LearnVest’s live demo at FinovateFall. USA Today features Social Money’s SmartyPig. Startup America features Bolstr. Come see Bolstr’s live demo at FinovateFall. The Independent looks at how CurrencyFair helps cut cost of cash transfers abroad. The Financial Brand looks at how ImpulseSave hopes to create spontaneous savers. GigaOM reports Corduro aims to win over big organizations that want to modernize their payment systems.